Eyecare Plus optometrists integrate training, experience and life-long learning with advanced technology to provide our patients with accurate diagnosis for optimal patient management. We invest on state-of-the-art equipment as part of our commitment to uphold clinical excellence at our 6 practices. Our technology enables our optometrists to take a closer look into your eye and detect eye health issues even before you feel any symptoms. Earlier detection of eye diseases which includes glaucoma, macular degeneration and diabetic retinopathy can lead to better treatment outcomes and, in many cases, help save sight. Sometimes your uncomfortable and dry eyes may be caused by inflammation of the eyelids or bacteria. 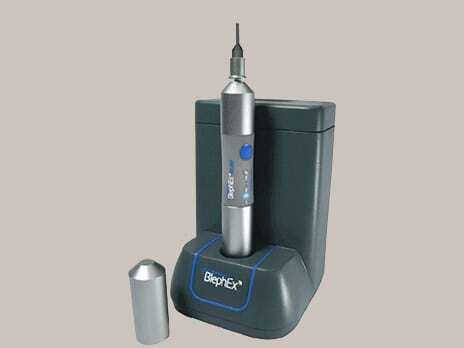 BlephEx is a treatment used to remove scuff and bacteria debris around the lid margin. The cleaning process is achieved using a burr and antibacterial solution. Blephasteam is used in the management of dry eye symptoms. It applies sustained moderate amount of pressure and heat on your eyelids in order for our optometrist to express your blocked Meibomian glands which are often the cause of dry eyes. Corneal topography allows our optometrist to understand the curvature and shape of the front surface of your eye, similar to reading the contour lines of a geography map. By doing this, our optometrist will be able to select the optimal contact lens or detect various eye conditions. 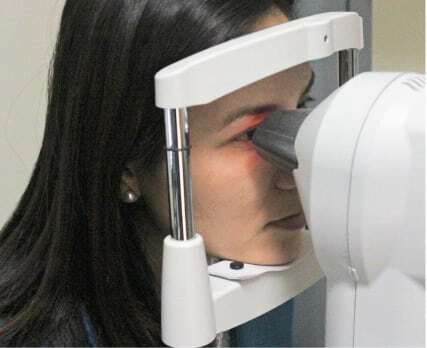 Using high-resolution imaging system, we take pictures inside your eye to assess the health of your retina (or the back of your eye) and help detect eye conditions and even general health issues that would relate to changes in your retina. 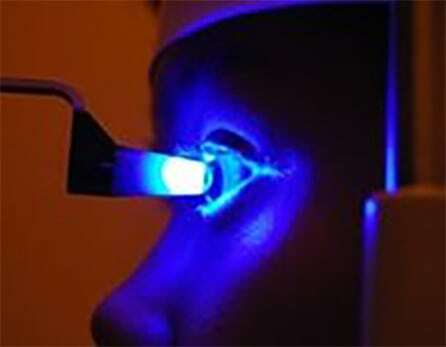 Intense Pulsed Light (IPL) treats the root cause of the dry eye problem with light pulses that penetrates the tissue, creates heat and targets the abnormal blood vessels that are the cause of dry eyes. IPL technology treats the skin and eyelid inflammation by removing the abnormal vessels. 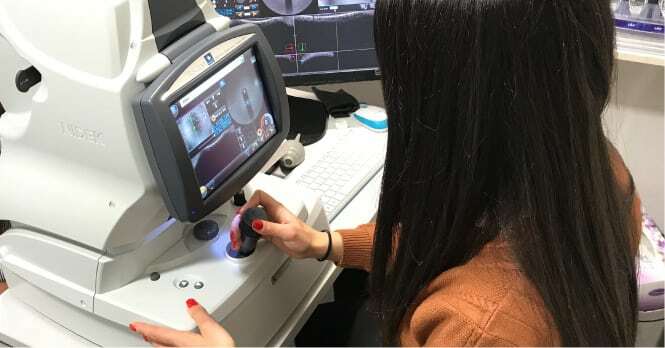 Optical Coherence Tomography (OCT) is used by our optometrist to assess the health of the eyes as it takes images of your eye in order to treat, diagnose and assess certain eye conditions. It works in a similar principle to ultrasound, though instead of using sound, OCTs use light to image your eyes. 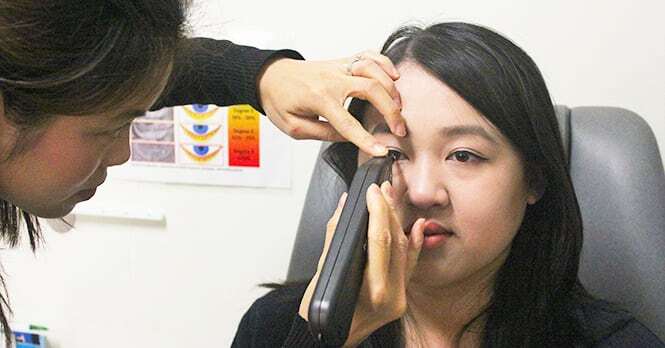 Our optometrist may perform pachymetry either to diagnose certain eye conditions or to assess whether you’re a suitable candidate for laser surgery. Pachymetry simply measures the thickness of the cornea, which is the front surface of your eye. 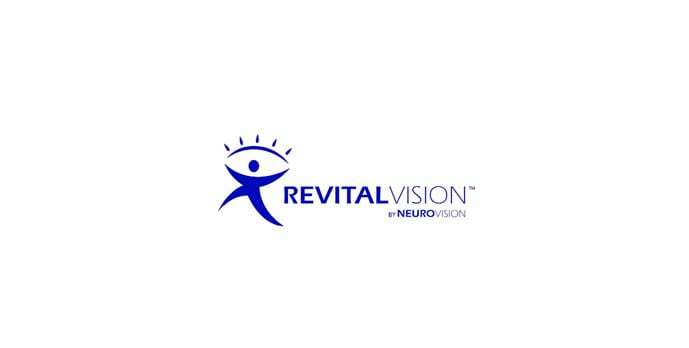 RevitalVision trains your brain to see better without additional surgery, enhancement, drugs or side effects. Patients who suffer from refractive errors (like amblyopia) and patients with low vision have shown significant improvement in their vision. Our optometrist will often perform tonometry as part of your general eye examination. This test is done to measure the intraocular pressure of your eye, similar to the way a physician may measure your blood pressure. The test is done to assess the general health of your eyes and to help detect certain conditions such as glaucoma. For various silent conditions such as glaucoma, you will be only able to notice changes in your vision only once the condition becomes severe and too late to treat. For this reason, our optometrist may request you to undergo a visual field examination in order detect these hidden changes in your vision. 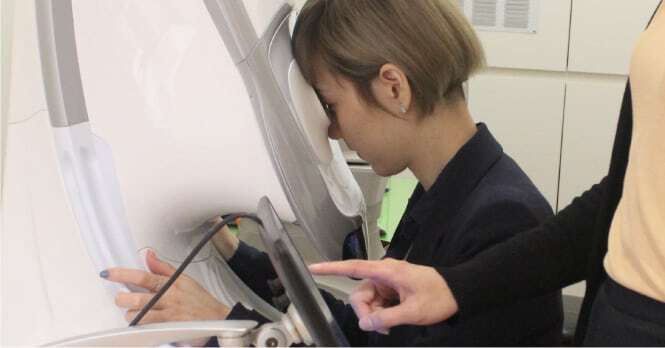 This test will carefully assess your central and, more specifically, peripheral vision where loss of vision often begins.